E.B. 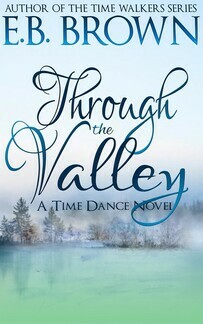 Brown draws readers back into her Time Walkers world with this first volume in the Time Dance series. This captivating tale of two lovers unfolds in seventeenth century Virginia, following Emmy and Daniel through danger, death, and heartbreak in a time when the English ruled over the scattered remains of the Powhatan Empire. She was his beginning, his life, and his end. And she did not know it yet. Daniel is the orphaned son of a Powhatan warrior, born in seventeenth century Jamestown. When he is injured in the Battle of Bloody Run and left for dead, he wakes in the care of a young woman named Emmy. As she nurses him back to health, he soon realizes that she is from another time - and that she is the Time Walker his enemies have been searching for. Emmy is a reluctant Time Walker, sent to 1656 Virginia on her mother's dying command. She prepares for her journey to the past as much as any modern woman could, but soon she realizes that the ancient blood running through her veins makes her a target for danger no matter what time she is in. Daniel is a complication she did not expect - a man who is tangled in her heart and her history in a way that can never be undone. 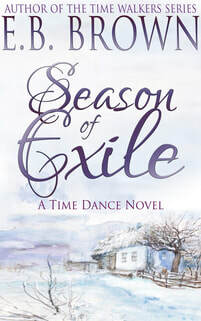 Season of Exile is set in the midst of a bloody time in history, through the English settlement and occupation of Colonial America, to the aftermath of living in the shadows of the decimated Powhatan Empire. 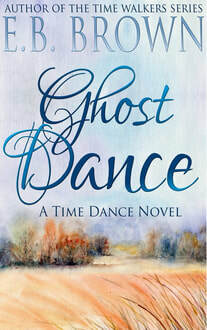 Emmy and Daniel's timeless romance continues along with danger, intrigue, and hope in this second volume in the Time Dance series. All of her life Emmy Cameron was taught to guard her secrets well. She arrived in the seventeenth century with the knowledge that she was meant to play a role in the events of the past, and she is determined to fulfill her duty no matter what the consequence. Yet now she is traveling to Middle Plantation with a man who is certain she is his destiny, and she has placed her heart - and her life - in Daniel's hands. Daniel has been burdened with the knowledge of future events since he was a boy. While others count the passing of time by years lived, Daniel counts it by the number of days left. He knows that Emmy will bear him two sons, but he also knows he will not live to see his second son born. Although he vows to help Emmy and find out exactly what role she will play in the timeline of the past, he realizes that he is no longer willing to accept his fate - and that he will defy the laws of God and man to spend his life with Emmy and see their sons grow old. As they fight to honor their vows, Emmy refuses to face a future without Daniel, and Daniel is just as determined to write his own version of history - no matter what the cost. "Yes, your duties take you away from us, and yes, I fear you will not return," Emmy said. "Yet you are here now. You walked through that door, and you are here beside me. No matter how far you wander, I will wait for you. I will always wait for you." Daniel will do anything to keep his family safe, even it means killing, stealing, or defying his Gods, his Kings, and all others. He battles his own demons as he faces the truth of how the desires of the man he once was clash with the reality of the man he has become. To secure a future for those he loves he must release the ghosts of the past - yet forgiving the father who abandoned him, the man who stole his wife, and himself for all the wrongs he has done is something he cannot do. 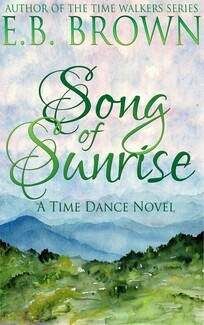 Song of Sunrise is the fourth and final volume in the Time Dance series based in the Time Walkers world.